The city of Ferizaj is located in south of Kosovo, more precisely in the right side of the highway Prishtine-Skopje, 35 kilometers far from the capital city. The municipality of Ferizaj holds up to 345km2, meaning the city itself including the other forty-five (45) villages around it. This area has a population of 170.000 inhabitants. Ferizaj is relatively a new city. This municipality has started to develop since year 1873 when the railroad and the railroad station were built. (HYPERLINK "http://sq.wikipedia.org/wiki/1873" \o "1873" 1873). In the time of speaking there was a hostel (dosshouse) that existed and the owner of it was Feriz Shashivari. Based on the owners name Feriz Shashivari this city possessed the name Ferizaj. After the war this city was comparatively destroyed (shattered). 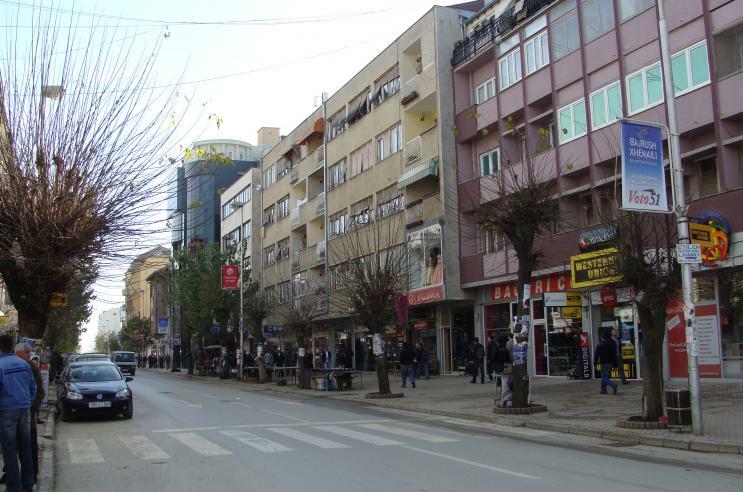 Today comparing with other cities it is considered the second most developed city after the capital Prishtina in Kosovo. Some of the factories and enterprises that before many years were basis for the expansion of the economy in this municipality are yet functioning. Some of these factories and enterprises are: The factory of steel pipes, the factory of oil, the combine of wood, the factory for processing exotic fruits, the factory of bricks etc. As mentioned above these factories and enterprises in spite of everything do function but with many difficulties as a result of Privatization period. Ferizaj is not a big city, nevertheless its organization and architecture makes it a very interesting to visit.